Burgas offers diverse accommodation options – luxurious hotels, cozy small family hotels, rooms and apartments for rent, guest houses, etc. You can choose accommodation in a hotel located on the beach line in the Sea Garden, in the centre of Burgas or close to the Airport. Most of the hotels operate all year round. The hotels offer diverse facilities for a beach holiday as well as for business trips. 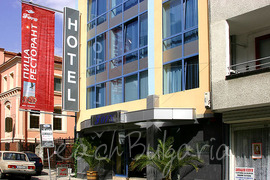 BeachBulgaria.com provides easy online booking of hotels in Burgas at bargain rates. Fill in the booking form and a representative of our team will be in touch with you shortly. 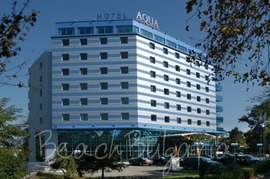 Aqua hotel is located in the center of Burgas, not far away from the railway station and bus station. The hotel offers 97 rooms, including standard, budget, deluxe, rooms for the disabled, family rooms, suites and a presidential suite. 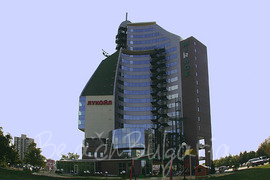 Atlantis hotel complex is situated in a calm area at the sea side of Sarafovo, district of Bourgas. The hotel is situated 200 m from the sandy beach and 1 km away from Bourgas airport. 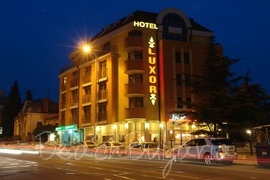 Luxor hotel is situated in the administrative and cultural centre of Bourgas, near the railway and central bus station and 150 m away from the central beach. Opera Hotel ex. California hotel is a boutique, business hotel with unique retro design. The hotel is located on a quiet street in the very centre of the city of Burgas, only 200 meters away from the main square of the city. Fors hotel is situated in the center of Burgas, 5 minutes away from the railway station, bus station "South" and the Port of Burgas. 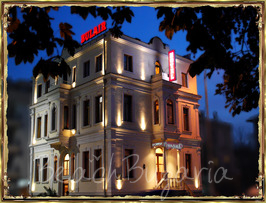 It is located 250 m away from the beach of Burgas.